Lenczner Slaght is pleased to welcome Christopher Trivisonno who comes to us from the litigation department of a major law firm in New York. His practice includes complex commercial litigation, class actions, and professional liability & regulation. Before joining Lenczner Slaght, Chris represented clients in disputes pending before numerous state and federal courts, including the New York Supreme Court, the New York Court of Appeals, the Delaware Chancery Court, and the Federal District Court for the Southern District of New York. Chris’s wide-ranging practice in New York included complex commercial disputes, media and entertainment litigation, class actions, trusts and estates litigation, securities litigation, and cross border disputes. 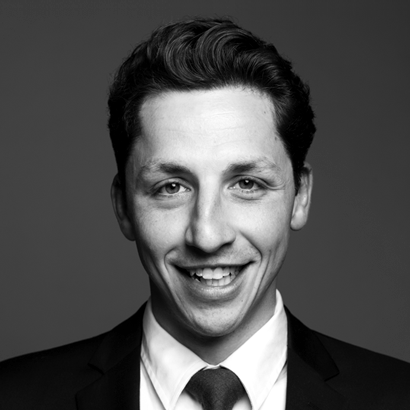 Chris graduated on the Dean’s Honour List from the McGill University Faculty of Law and won an academic award for the highest standing in civil procedure classes. While in law school, Chris participated in the Winkler Class Actions Moot, winning the competition and an award for best factum. Chris also represented McGill students accused of academic and non-academic offenses through the Student Advocacy program, and volunteered with the McGill Legal Information Clinic.